A view of Doughruagh mountain on the left and Diamond Hill on the right. Benbaun, part of the Twelve Ben range, can be seen behind Diamond Hill. The mountains in the far distance are the Maumturks. 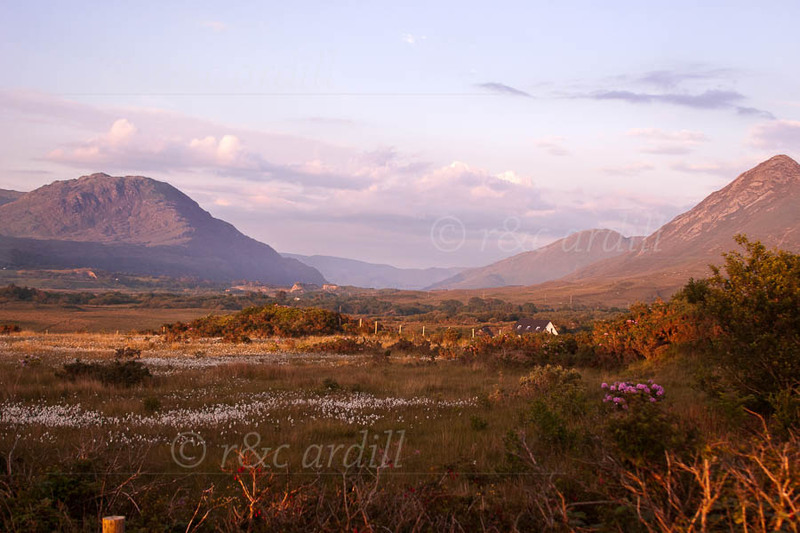 The image was taken from near Letterfrack on a late May evening.